Join Drs. 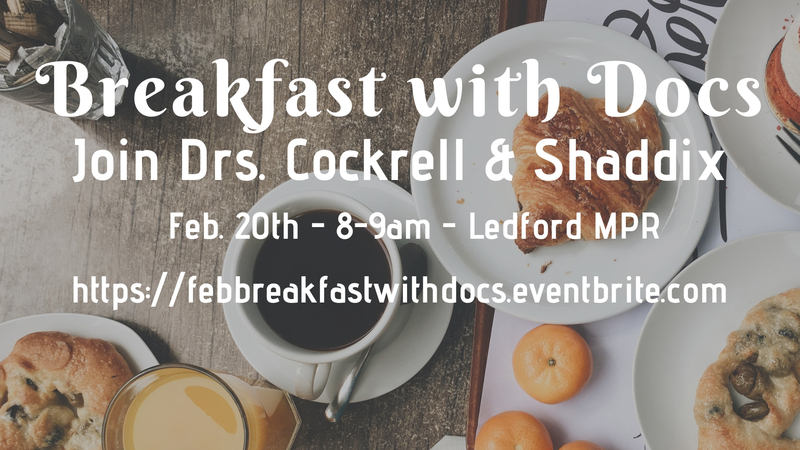 Cockrell and Shaddix for our Breakfast with Doc series on February 20th from 8-9am in the Ledford Multipurpose room (upstairs). Come prepared to ask the professors questions about their work, life, interests, etc to get to know them in a casual setting. This event is open to all Graduate students and their spouses. Tickets are free-but there is limited seating, so RSVP soon! RSVP using the link HERE!